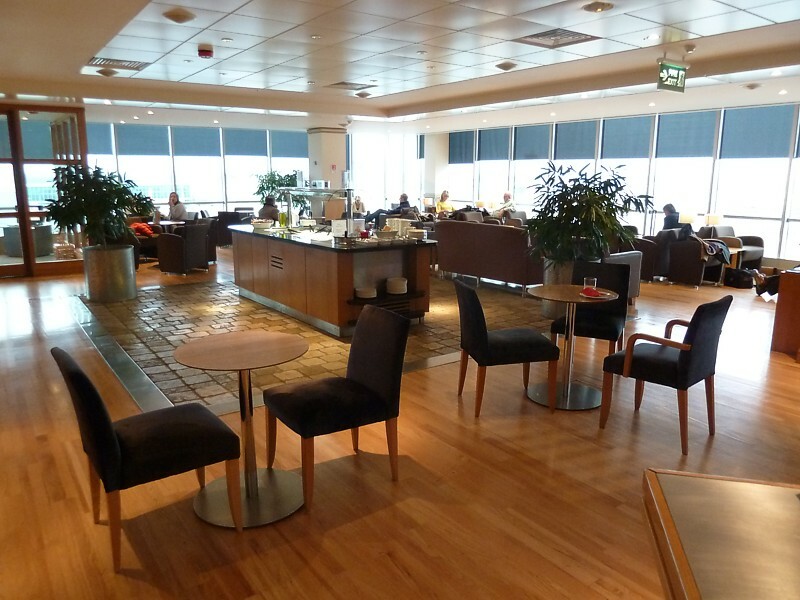 The British Airways Terraces Lounge at London Gatwick (LGW) is L shaped. 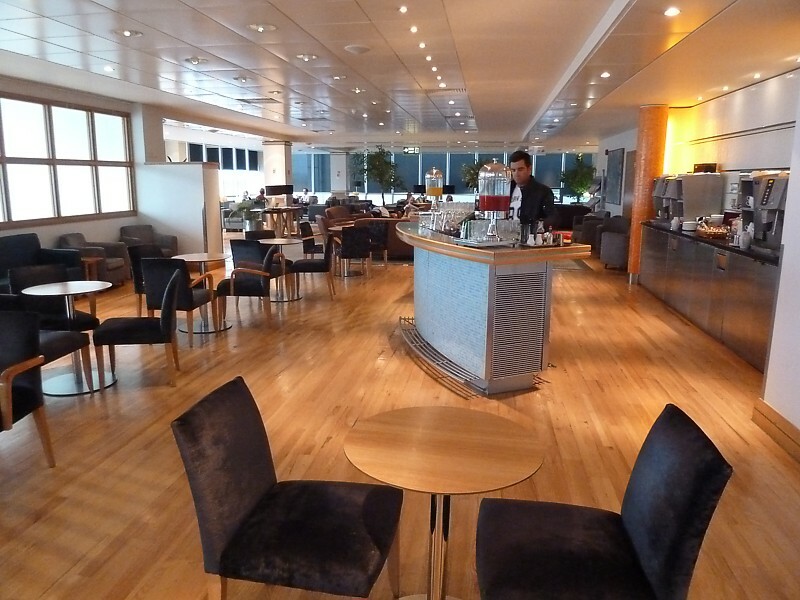 If you walk around you'll find much more space - and also an excellent view of the airport, from opposite the food and drinks bars. There used to be a twinkling fountain here, with tweety birds and everything, but that bit the dust along with most of the Terraces fountains in 2007 (only the JFK one still remains in its original state). Instead, there are just a couple of the original wavy bars, and the food cooler fridge.